LG has launched a new tablet in South Korea, the LG G Pad III 10.1 and the tablet is equipped with a 10.1 inch display with that features a resolution of 1920 x 1200 pixels. The LG G Pad III 10.1 is powered by an octa core processor clocked at 1.5GHz and it comes with 2GB of RAM and 32GB of included storage. If you need any extra storage then there is a microSD card slot which supports up to 2TB cards. The tablet also comes with a 5 megapixel camera on the front for selfies and a 5 megapixel camera on the back for photos and videos. 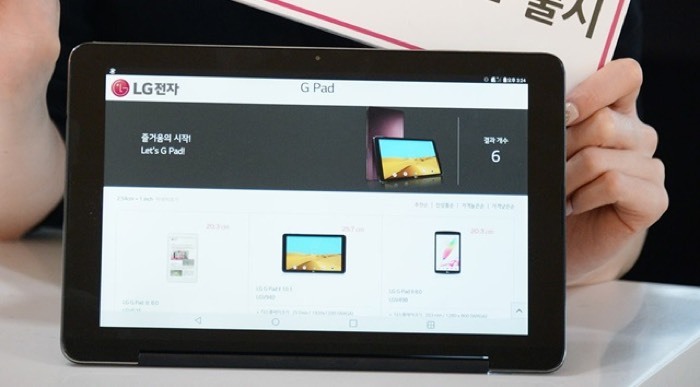 Other specifications on the LG G Pad III 10.1 include 4G LTE, WiFi and Bluetooth, the device also comes with a 6000 mAh battery and Android 6.0.1, it will costs 429,000 KRW. As yet there are no details on when it will launch in the US and Europe.